Aaahh!! 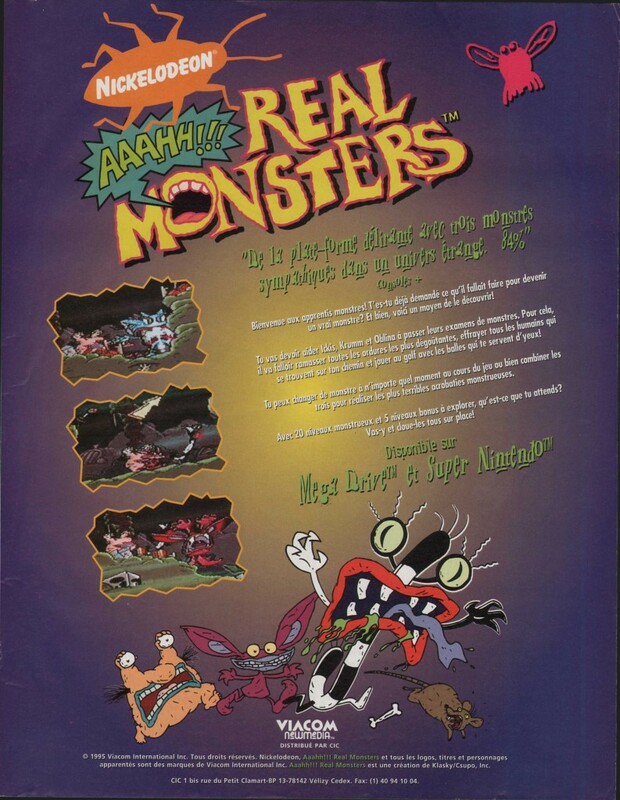 Real Monsters was one of Nickelodeon’s most popular Nicktoons during the 1990s, so like many others, it endured the video game conversion treatment. It takes a bit of inspiration from The Lost Vikings, with the player controlling three characters (Ickis, Krumm and Oblina) with unique abilities required to traverse the game’s puzzling environments.